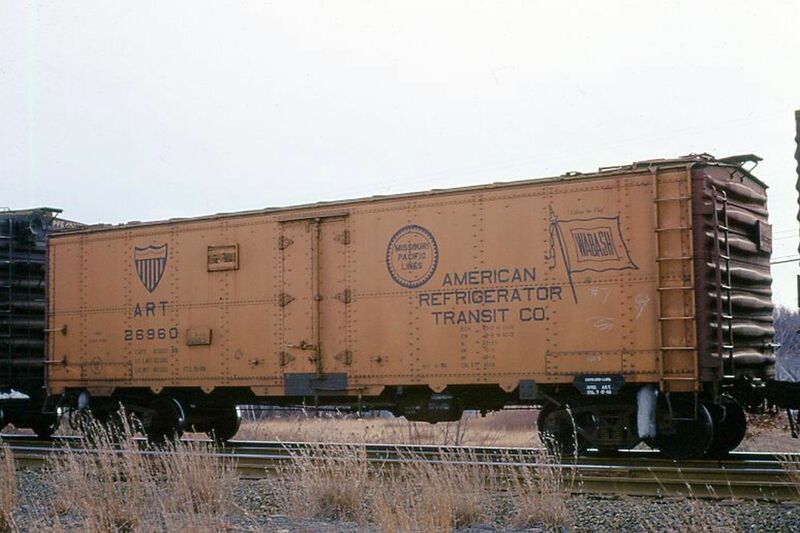 American Refrigerator Transit Company was private refrigerator car line established by the Missouri Pacific and Wabash railroads, thus explaining why the heralds of these two roads are shown. Note the ice on the side chutes of the car designed to carry off water from melting ice used to refrigerate the car. Reefers of fruit and produce were still a big mainstay of freight business in the Boston area. This car was in a B&M freight stopped in Belmont.